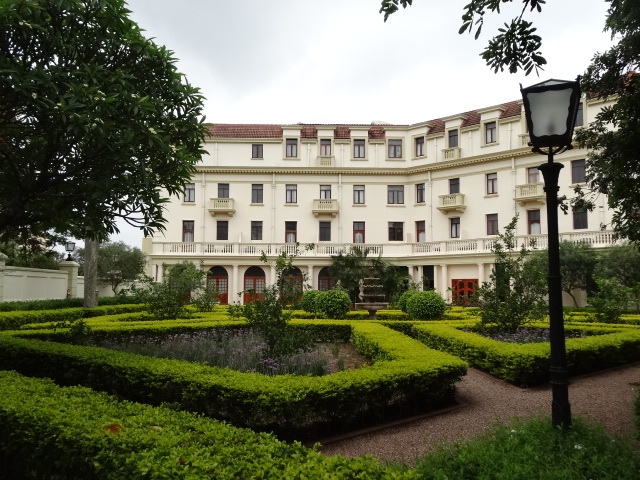 The restored gardens at the Polana, Maputo. ← Wordless Weds : Water is a human right. Maputo, the capital of Mozambique, is a fascinating city … noisy, gridlocked,lively, colourful. 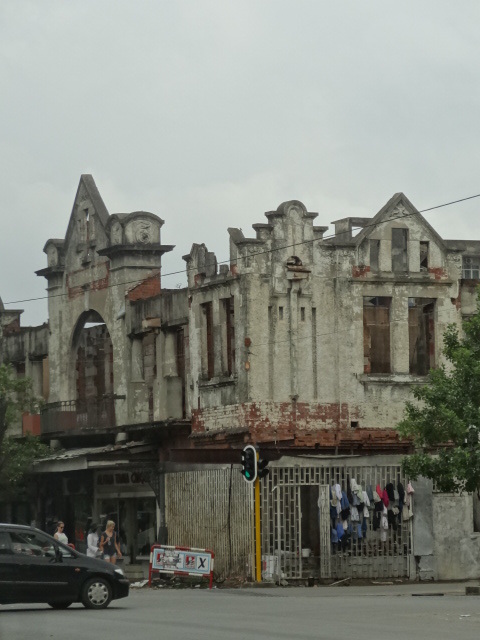 Emerging from a long civil war, this City of Acacias is a melting pot of Portuguese, Shangaan, Arab and Indian, and increasingly Chinese, influences. During the Second World War, as part of the Portuguese empire, it became notorious as a neutral meeting place for spies and secret agents from Germany, Italy and the Allied Forces. Sitting under the ceiling fan on the verandah, sipping a g & t, it’s easy to imagine the exchanges taking place, deals and double deals, information bought and sold. All it needs is a pianist and Ingrid Bergman urging him to “Play it once Sam, for old time’s sake”…. but that was another part of Africa, wasn’t it? In the gardens of the Polana. The hotel fell into decline, when 250,000 Portuguese left hurriedly in 1975 and a civil war ensued, but happily was rescued by the Aga Khan Foundation for Economic Development in 2002. 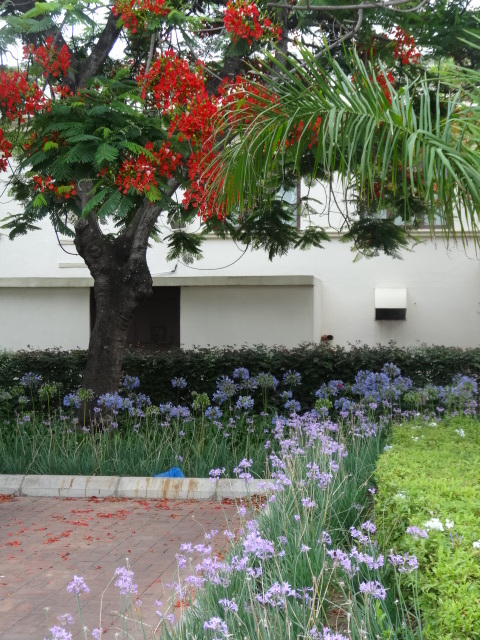 Maputo is famous for its avenues of flowering acacias, which surround the gardens of the Polana. 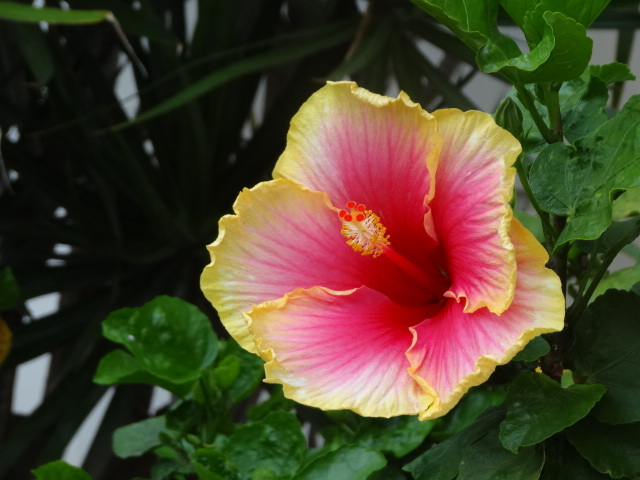 There’s a wide range of colourful hibiscus surrounding the entrance and the steaming heat releases the fragrance of the frangipani trees, whilst fountains drip water languidly. 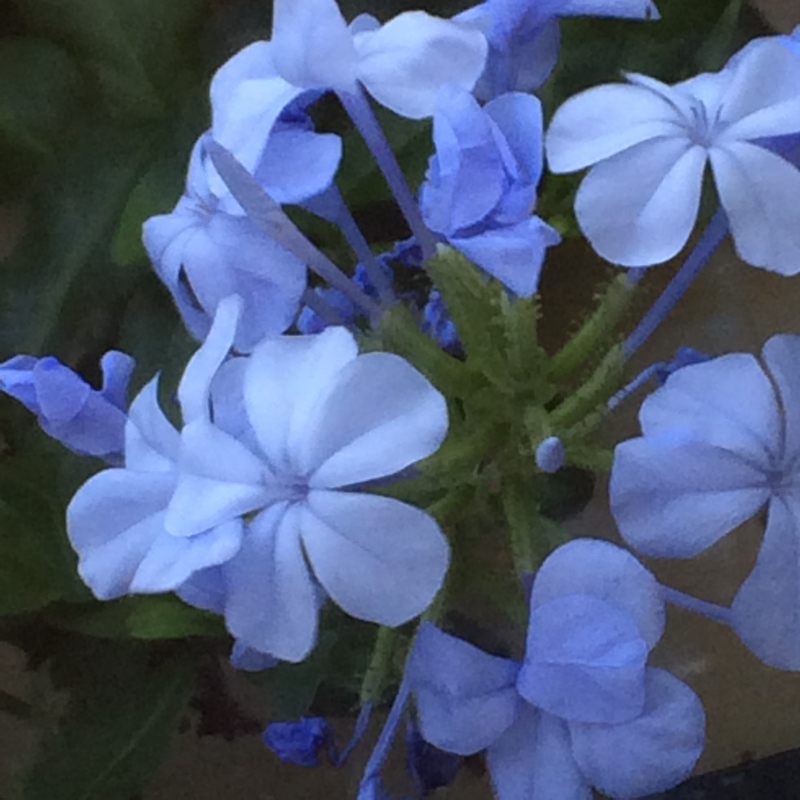 There are hedges of sky blue Plumbago and drifts of Agapanthus, soft blues always refreshing in temperatures nearing 40C. Arab and Portugueses influences are seen in the courtyard gardens of the Spa, where water and shade are strong elements, alongside cool blue patterned tiles. The Art Nouveau style of the formal Delagoa dining room overlooks a structured garden of clipped hedges and fountains, the formality of the former reflected in the garden. In the searing heat, a welcome wind drifts up from the Indian Ocean, fishing boats return to port with their haul of tiger prawns, for which Mozambique is famous, along with the fiery heat of its peri-peri sauces. Outside the walls there’s the dim hum of rush hour traffic and in the gardens cicadas start up their evening clicking song. Wow, this looks so lovely…cheers my friend! Your photos are really wonderful, I especially like the arched view of the fountain. An oasis of beauty in a fascinating but chaotic city. Thanks for another great tour. I see many plants that grow on the Gulf Coast. Glad you enjoyed it – thanks so much. 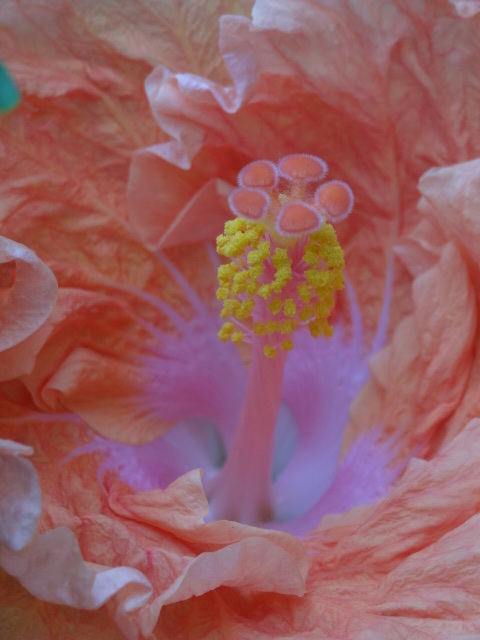 I suppose what seems exotic and colourful to my eye is almost commonplace on the Gulf Coast. Thanks Matt, glad you enjoyed the brief tour. I’m glad the Polana was restored and I’m hoping many of the older buildings might be too, rather than razed hurriedly to the ground. 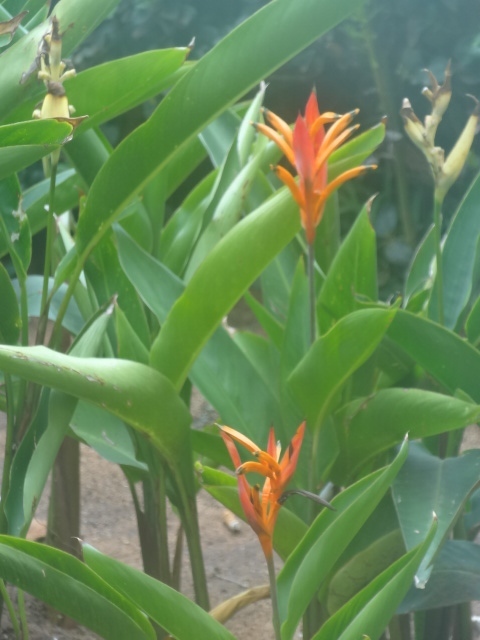 You make me long to go there right now…..and its been 18months since I had an adventure…still writing about the last one…in Peru….love the flower photos….I have a cousin living on the coast of Mozambique…maybe time to reunite.. So glad you enjoyed the post … and go see Mozambique before the crowds discover it. Maputo is fascinating – but you have to dig around to find the fascinating bits. It’s vibrant and a bit chaotic and a blend of many cultures. Will write a little more about it perhaps. Haven’t been to Peru (yet?) and will be sure to check out what you’ve written. Thanks Sylvia, glad you enjoyed the post. 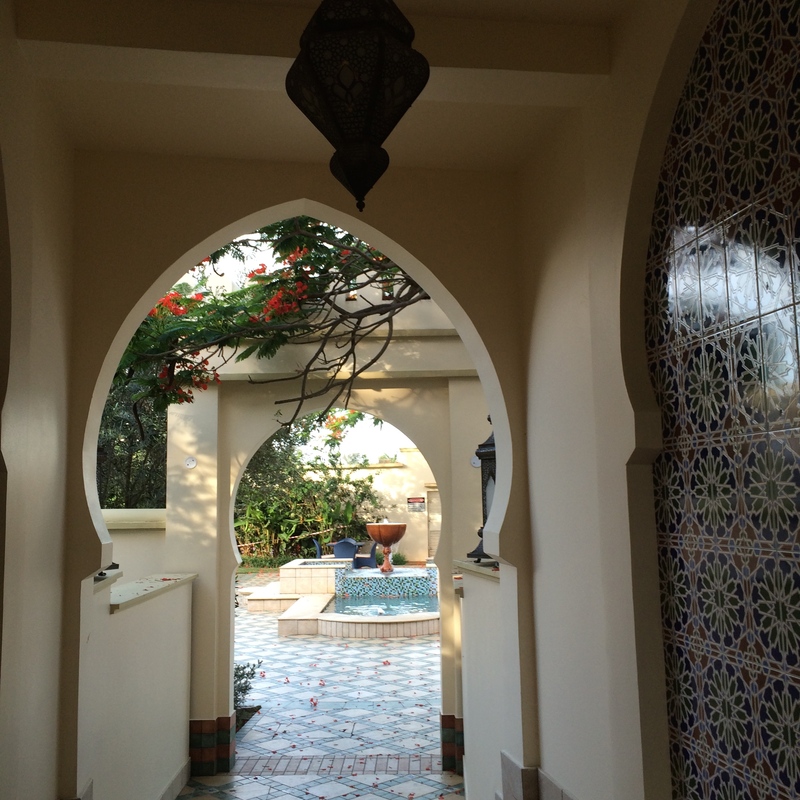 I agree about the Spa (which was gorgeous), it was very reminiscent of Morocco. What a beautiful and intriguing place. 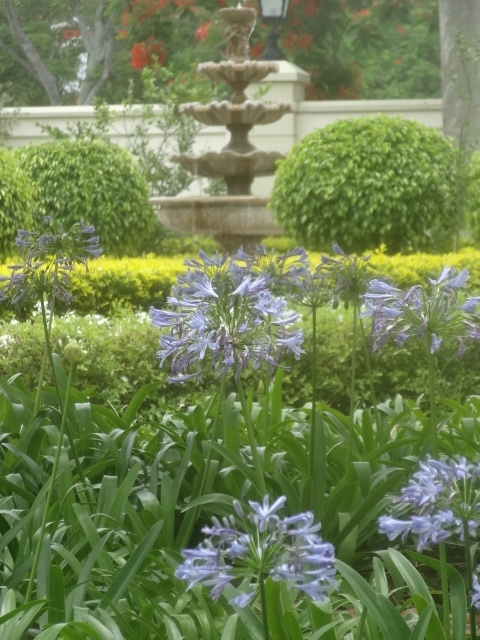 The gardens are beautiful, especially the agapanthus. Thanks Cynthia. The gardens are certainly lovely. The interior is also beautiful but I think it needs to acquire the patina of age. How wonderful when a garden treasure is restored. I’ve loved hearing about such lovely makeovers since reading The Secret Garden as a child. I do agree. I have loved transforming neglected gardens, especially historic ones. Thanks for your lovely comment Wendy.